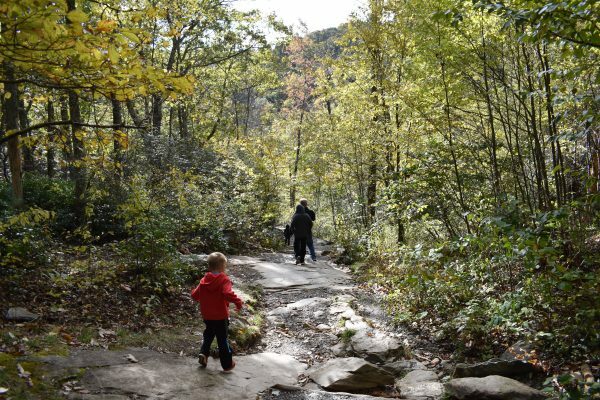 We did an awesome hike in Shenandoah National Park. It is called Dark Hollow Waterfall, and the waterfall is amazing! 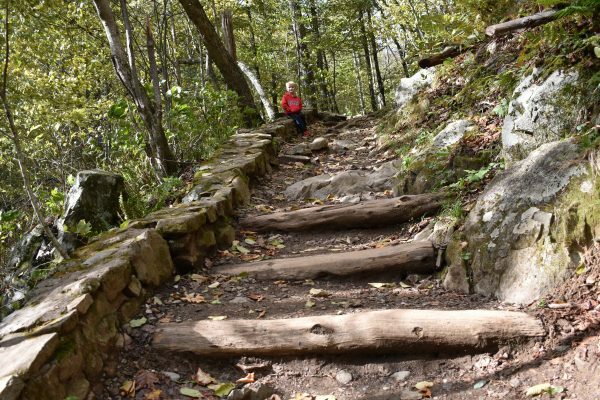 This hike is only 1.4 miles roundtrip, but it is a little steep as you walk directly down to the waterfall. 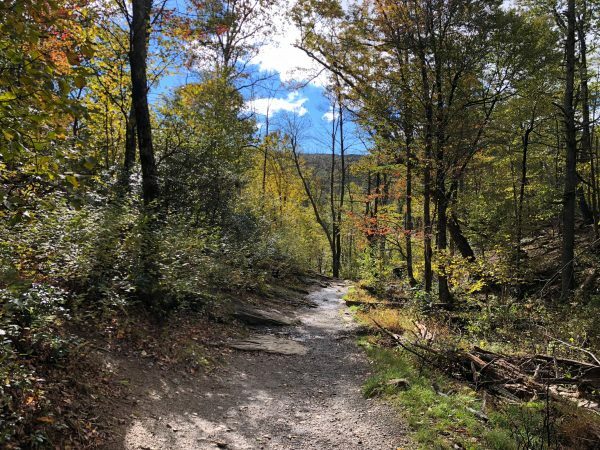 The trail down to Dark Hollow Falls is stunningly beautiful! 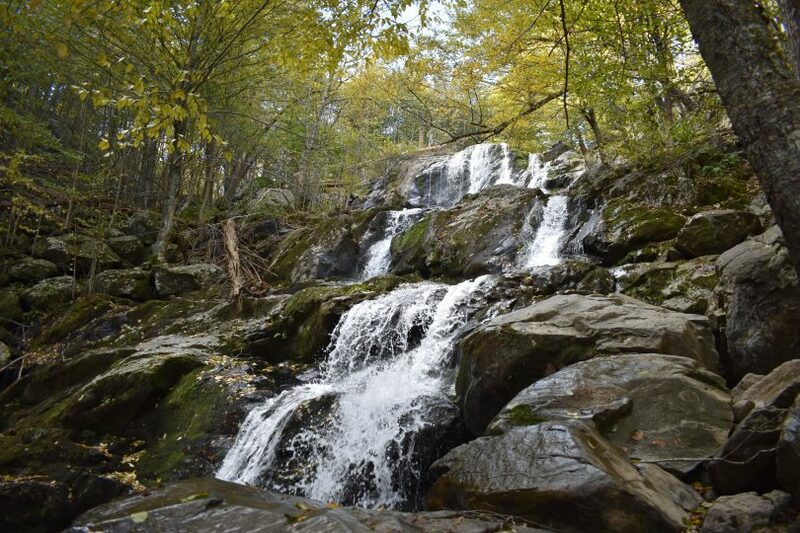 The trailhead to Dark Hollow Falls is located just north of the Byrd Visitor Center between mile markers 50 and 51. There is a small parking lot and the trail begins heading straight down into the hollow. 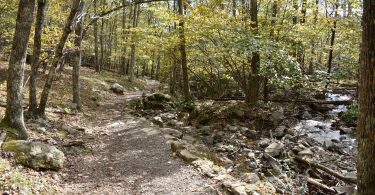 It is moderately steep, but it follows the river trickling along. Our boys looked for fish in the pools and watched for squirrels and chipmunks. The trail was very picturesque. The trail walked along the stream. 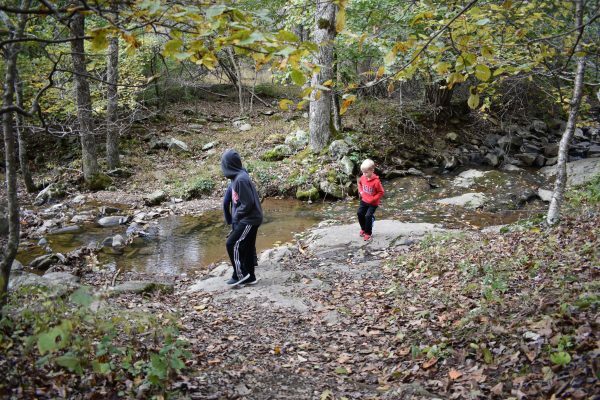 Our kids loved exploring by the water. There were so many neat places to check out along the trail. After a short distance the trail levels out a little and the trees crowd close. There are deadfalls across the stream and moss on the trees in the humid air. 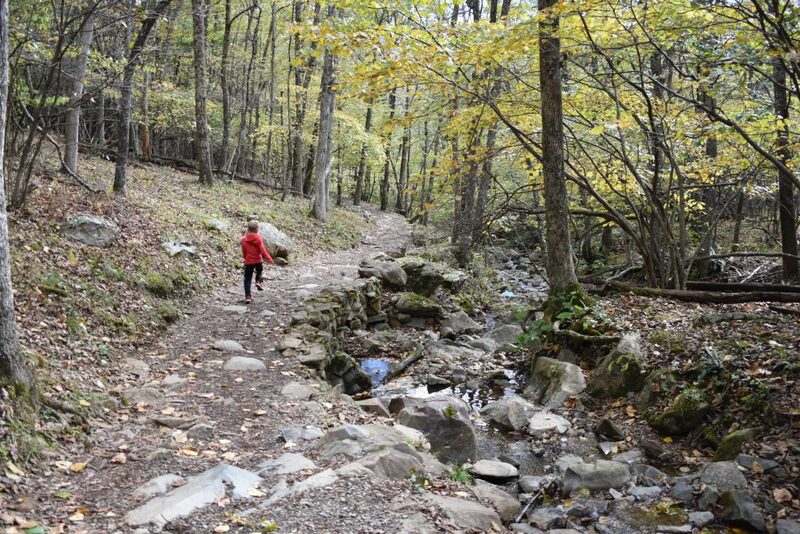 The trail was beautiful, and we were there when Fall was almost arriving, so the leaves were just beginning to change. Back east, they use blaze markers to mark the trail instead of signs or posts. So keep an eye out for the blue blaze markers. 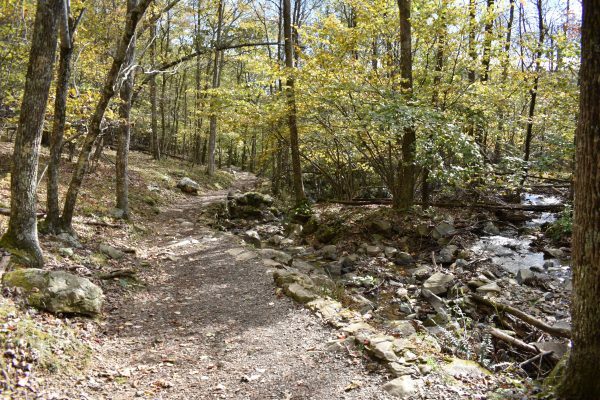 Part of the trail walks along rocks. It had been raining, so it was quite muddy the day we hiked. The colors were just beginning to change. 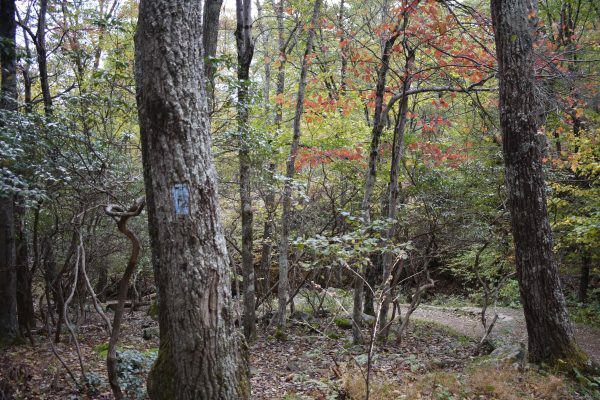 These blue blaze markers mark the trail. The trees open up and the top of the waterfall comes into view. 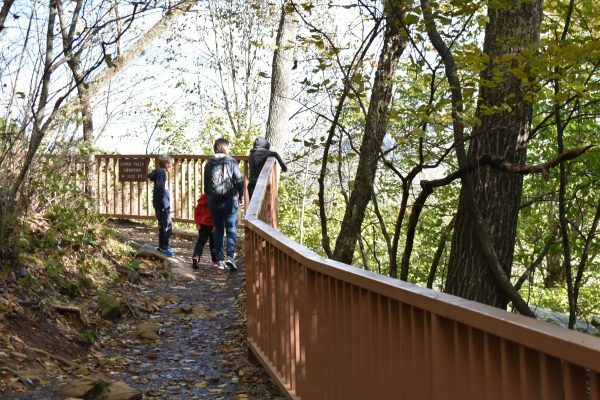 There is a viewing area, but you can’t see much without venturing to the bottom, which is another steep drop, but it is quite short this time. 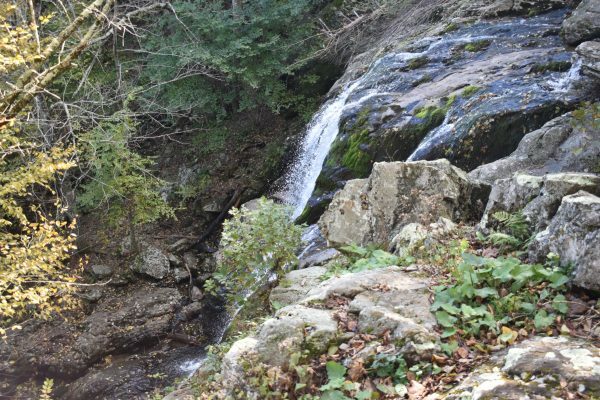 There is a viewing area at the top of Dark Hollow Falls. You really can’t see much at the top, so make sure to hike down to the bottom. 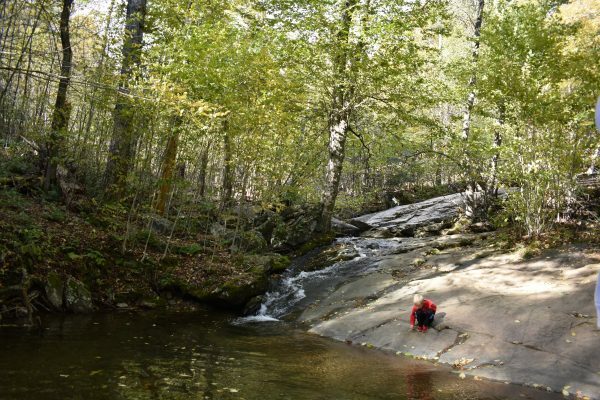 At the bottom, Dark Hollow Falls is wide and beautiful. 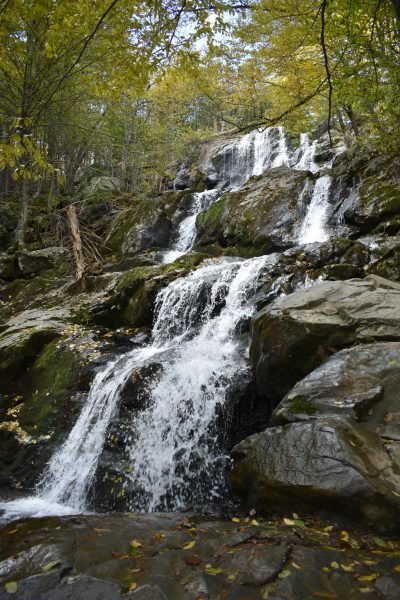 There are many different cascades on the cliffside depending on the time of year you visit. We went in mid-October, and there was plenty of water and about a dozen different places it was cascading. 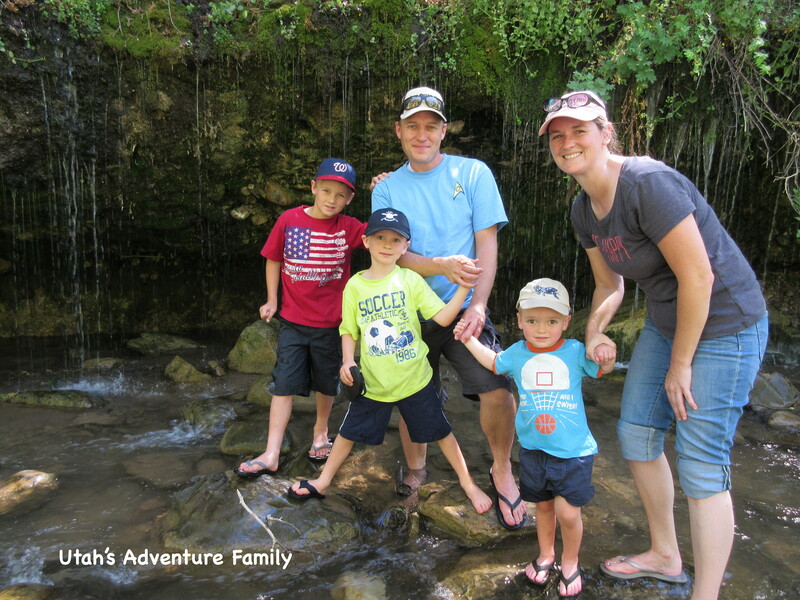 We walked a little further down the trail, but we found that the best place to see the waterfall is right next to it. 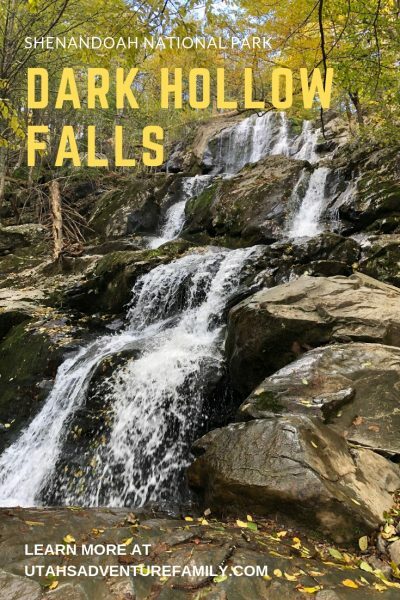 Dark Hollow Falls is nestled right inside a bunch of trees. It is a stunning waterfall! We walked a little further down, but the trees blocked the view. Be prepared for the climb out. It’s a steep walk uphill, but worth it. 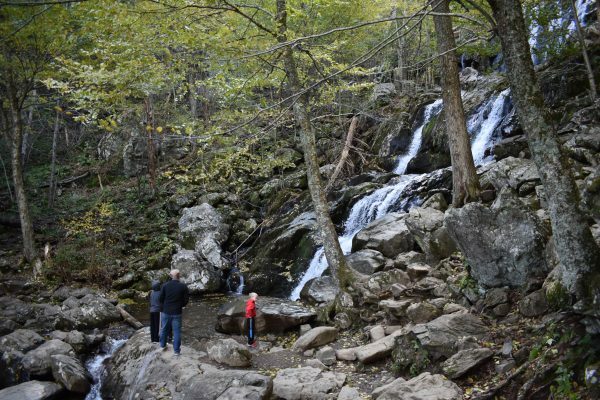 Our favorite hike in Shenandoah National Park is Dark Hollow Falls. 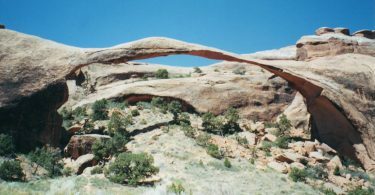 This trail is a great family hike when visiting this National Park, so make sure to add it to your list. 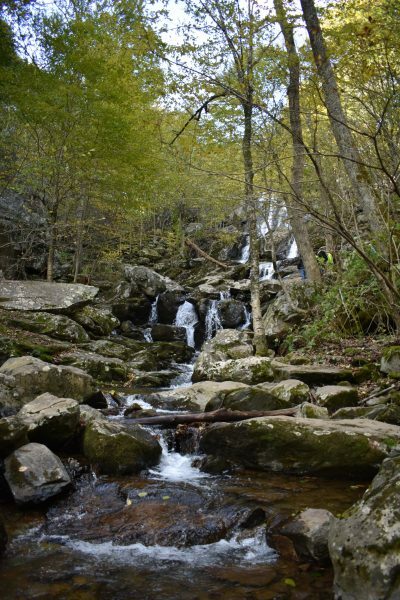 More info on the Shenandoah National Park Site.